The legend spoke of an evil magician possessed the secret of eternal life by stealing the souls of several villagers. No mortal soul could stand against but there was a prophesy: One day, someone brave enough, would challenge the evil presence. The mage sent his Harpies to seize a fresh supply of souls. This time they took your parents! Only you can save them and defeat the dark mage. - Find out druid's story in Bonus Chapter. 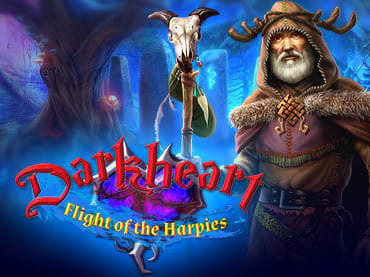 If you have questions about Dark Heart: Flight of the Harpies game, please contact us using this form.